Take Action for a Healthy Lake Michigan! Plus, Watch the Film Trailer! Most of us are likely looking forward to warmer temperatures, boats in the water and having winter behind us. But there is plenty to keep us busy until then - especially for those who love Lake Michigan. For something inspiring, watch the 3-minute trailer for the documentary of Julia and Alyssa’s Walk to Sustain Our Great Lakes initiative (at the end of this article). And be sure to mark your calendars for the April 15 (1 p.m.) event in which the KYC and Kenosha Community Sailing Center are partnering with the Kenosha Public Museum for a Great Lakes Educational event. 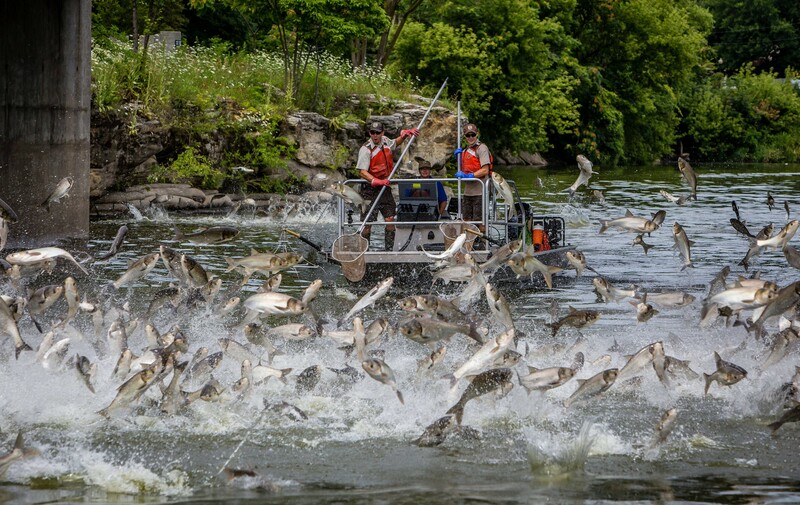 TAKE ACTION: Can you envision a time in the future when you are in the harbor or leaving the marina and have to worry about dodging Asian Carp flying through the air? Or going back to the days when water and beaches were filthy and full of toxic pollutants? The carp scenario may be far-fetched but hopefully it got your attention, and there are still significant problems in the Great Lakes that need to be addressed. And there are many benefits to a healthy Lake Michigan for sailors, power boaters, beach-goers, sport fisherman, tourism, etc.!!!! The Great Lakes Restoration Initiative (GLRI) helps protect and restore the system that comprises more than 80% of the fresh water in the U.S. and Canada. It focuses on the most significant ecosystem problems that exist in the Great Lakes Basin, and identifies ways to solve them. It has wide bi-partisan support. Many sources suggest that Congress will not necessarily support the specific cuts and program eliminations proposed by the President. The main issue is, how much money will Congress allocate to these programs? If you care about the Environmental Protection Agency budget, which includes the GLRI funding, contact your Senators and Representative and ask for full funding for the GLRI. The Worth of Water: A Great Lakes Story is a feature length documentary film focusing on the restoration of the Great Lakes and the progress that has been made since the establishment of the Clean Water Act in 1972. The film follows the co-creators of the Walk to Sustain Our Great Lakes, Julia Robson and Alyssa Armbruster, as they embark on their 343 mile walk from the shores of Lake Michigan in Milwaukee to the Porcupine Mountains in the Upper Peninsula of Michigan on Lake Superior. 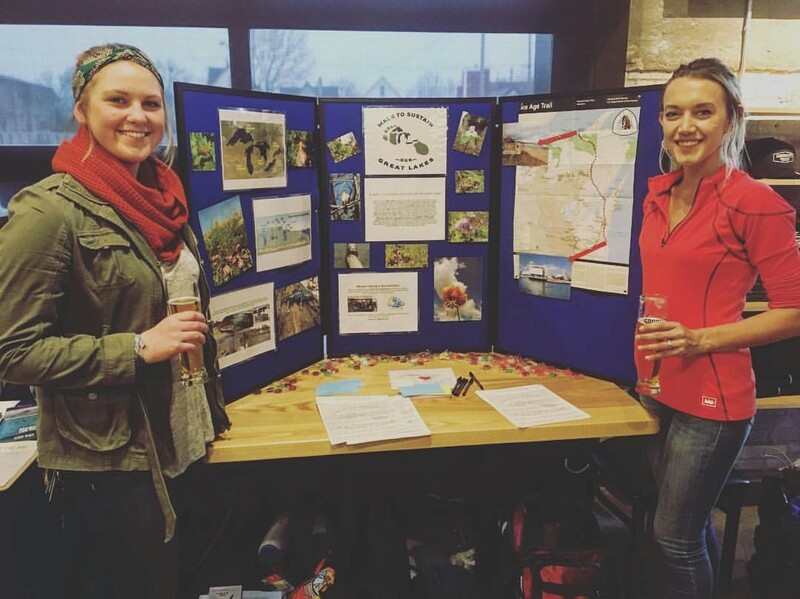 Along their journey, the two women meet with locals, political leaders, activists and professionals highlighting the multitude of projects being implemented throughout the basin to improve and protect the Great Lakes. Mark your calendar for April 15, Sunday, at the Kenosha Public Museum to hear Julia and Alyssa. Joining them to talk about invasive species is Titus Seilheimer, a fisheries scientist with Wisconsin Sea Grant. Join us to learn more about the Walk to Sustain Our Great Lakes journey, the Great Lakes, and the impact and role of invasive species in the Great Lakes ecosystem.